What is space? It isn't a question that most of us normally ask. Space is the venue of physics; it's where things exist, where they move and take shape. Yet over the past few decades, physicists have discovered a phenomenon that operates outside the confines of space and time: nonlocality-the ability of two particles to act in harmony no matter how far apart they may be. It appears to be almost magical. Einstein grappled with this oddity and couldn't come to terms with it, describing it as "spooky action at a distance." More recently, the mystery has deepened as other forms of nonlocality have been uncovered. This strange occurrence, which has direct connections to black holes, particle collisions, and even the workings of gravity, holds the potential to undermine our most basic understandings of physical reality. If space isn't what we thought it was, then what is it? 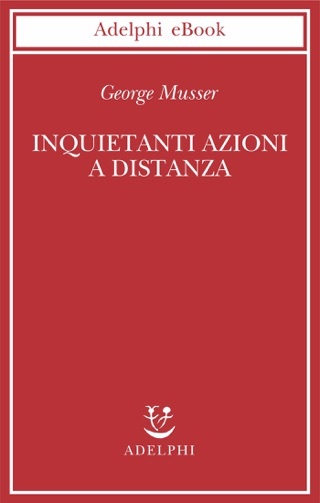 In Spooky Action at a Distance, George Musser sets out to answer that question, offering a provocative exploration of nonlocality and a celebration of the scientists who are trying to explain it. Musser guides us on an epic journey into the lives of experimental physicists observing particles acting in tandem, astronomers finding galaxies that look statistically identical, and cosmologists hoping to unravel the paradoxes surrounding the big bang. He traces the often contentious debates over nonlocality through major discoveries and disruptions of the twentieth century and shows how scientists faced with the same undisputed experimental evidence develop wildly different explanations for that evidence. Their conclusions challenge our understanding of not only space and time but also the origins of the universe-and they suggest a new grand unified theory of physics. Delightfully readable, Spooky Action at a Distance is a mind-bending voyage to the frontiers of modern physics that will change the way we think about reality. 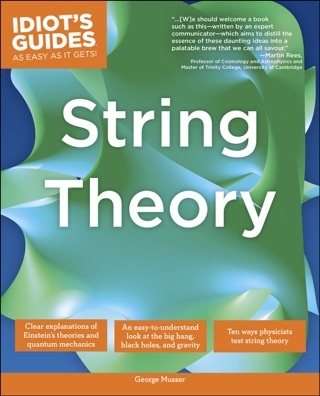 In this accessible and imaginative book, science journalist Musser (The Complete Idiot's Guide to String Theory) introduces readers to the "mother of all physics riddles": nonlocality the weird entanglement between particles in different places, which could help scientists better understand black holes, unified field theories, and other phenomena. Experimental evidence has long suggested that distant particles could indeed be connected, but in the early 20th century, many theoretical physicists thought that accepting nonlocality was like using magic to explain physics. 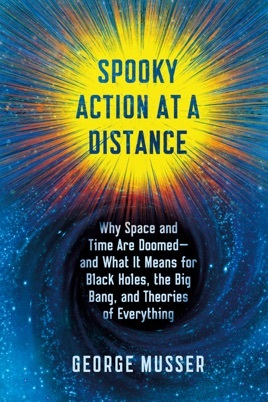 Einstein held that it violates his theory of relativity, calling it "spooky action at a distance." Nearly a century later, there's still no good explanation for how nonlocality works. Musser explores nonlocality's possible role in black holes and wormholes, quantum teleportation, cosmic background radiation left over from the Big Bang, and even the existence of free will. Along the way, he introduces some of the scientists who have worked on nonlocality, including black hole expert Charles Misner, cosmologist Steve Giddings, and physicist John Stewart Bell, whose groundbreaking eponymous theorem makes nonlocality an "unavoidable" aspect of the universe. Clarity and humor illuminate Musser's writing, and he adroitly captures the excitement and frustration involved in investigating the mysteries of our universe. Illus. Agency: Susan Rabiner Literary Agency.